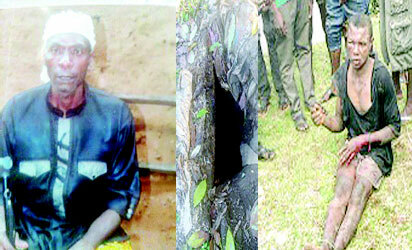 An enraged 23-year-old son butchered his father, who is the village head, HRH Francis Ekpo Ene, and dumped his remains inside the family’s pit toilet for persistently accusing him of stealing his money without facts. The unfortunate incident occurred Monday, at Ekpri Ikot Ene community, Akpabuyo Local Government Area, Cross River State. NDV gathered that killer-son (Francis Ekpo Jnr.) supposedly acted under a powerful and diabolical influence, as he was not known to be a violent person before the sacrilegious incident. The wife of the deceased, Mrs. Affiong Offiong Asuquo, who spoke to NDV, said signs of trouble emerged in the household when an unnoticeable amount of money, sometimes between N20, 000 to N50, 000 started disappearing from the safe in the bedroom of the late ruler. Speaking further, she told NDV that they apprehended him and handed him over to the Police and her husband embalmed in the house.